In previous articles we have looked at both the Benefits of CFL Lighting – long lifetimes and energy efficiency – and also the nasty problem of Toxic Mercury in CFL Bulbs. Now a new technology has gone into commercial fluorescent light bulbs which promises to increase the benefits and reduce the mercury problem: Cold Cathode Fluorescent Light Bulbs. 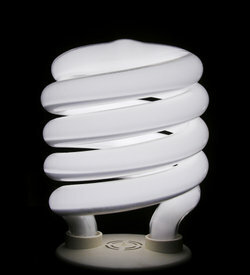 CCFL light bulbs are an innovation which offer enormous benefits over existing CFL bulb technology. First off, the average lifespan of CCFL bulbs is around 25,000 hours – many times more than the average CFL bulb, and approaching that of ultra-long life LED bulbs. This increase in lifespan has been achieved by reducing the thickness of the glass tube and therefore enabling CCFL bulbs to run cooler. 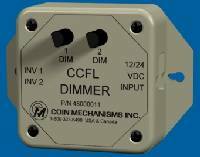 Secondly, CCFL bulbs are dimmable by standard incandescent dimmer switches (unlike CFL and most LED bulbs) and do not suffer from a reduction in lifespan by being turned on and off frequently. This means that CCFL bulbs can now be used to replace incandescent bulbs in situation in which CFL bulbs would not have been suitable. And thirdly, although CCFL bulbs still some require mercury content to operate, they need less than half that contained in conventional CFL bulbs. A CCFL bulb operating for 25,000 hours will therefore use just 15% of the mercury that the 3 or 4 CFL equivalents would get through during that lifetime. CCFL technology is available in standard bulbs (for direct replacement of incandescent lightbulbs), spotlights, light tubes, decorations, car headlights, and even torches and lanterns.